The Rev. Emmanuel Gatera and his wife, Athanasie Gatera, are native Rwandans who witnessed the great suffering of their people and have a vision for a better future. Filled with love and compassion for those who live in the margins of society, they began dreaming of an organization that would assist survivors of the 1994 Genocide – orphans, vulnerable youths, widows, and victims of HIV/AIDS, sexual abuse, or natural disasters. In 2011, the Gateras joined with friends Charlotte Mukamwezi, Celestin and Genevieve Buhuru to make their dream a reality, and the YEGO Rwanda Foundation was born. Today they provide oversight for the organization and provide counselling for orphans, widows, and vulnerable youth, while raising their family of four children. Emmanuel was born in Rwanda in 1958. When he was only 5 years old, his family was attacked during the night of Christmas Eve. The next morning, they fled to Burundi, barely escaping with their lives. Shortly after, Emmanuel’s father became ill and died in a refugee camp. When Hutu-Tutsi tensions escalated in Burundi, Emmanuel left for Uganda, where he trained to become a minister in the Anglican Church. 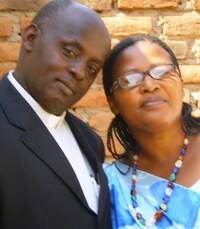 After the 1994 Genocide, Emmanuel began making return trips to Rwanda, and he and his family moved there in 2006. After dreaming of the YEGO Rwanda Foundation for nearly a decade, Emmanuel’s dream became a reality in 2011. Athanasie is a strong, driven woman who is involved in local government, NGOs, the church, and the YEGO Rwanda Foundation. Athanasie was born in Burundi to Rwandan parents who fled Rwanda in 1963. She grew up in Burundi, where she met Emmanuel Shortly after they were married, massacres began occurring in Burundi. In 1993, Athanasie’s father and brothers were killed, and she was forced to flee the country with her two daughters (then two years old and three months old). They narrowly escaped death several times, when she was rescued by Emmanuel, who returned from Uganda to protect her. Like her husband, Athanasie’s experiences gave her love and compassion for those who had suffered during the massacres and Genocide. Athanasie became a co-founder of the YEGO Rwanda Foundation in 2011.